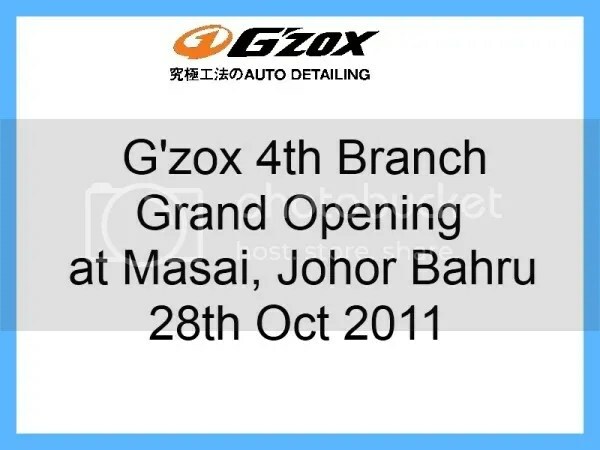 G’zox Malaysia 4th Branch at Masai, Johor Bahru. Good news to all Johorian & Petronas Mesra Card Member. G’zox Malaysia Masai, Johor Bahru Grand Opening super duper mambo jumbo promotion for first 10 customer and more and more …………. don’t forget to visit us on 28th Oct 2011 start at 10am morning. It will be Johor first Japanese Auto Detailing Centre in town. See you there.. Arigato Gozaimasu !!!!!! ありがとう !! !